Castolin Eutectic introduces the EuTronic GAP 2501DC PTA welding system for precision and high deposit quality in joining, coating and brazing welding applications. Now available with touch screen control, the EuTronic GAP 2501DC welding system integrates with both automated process and manual welding applications including PTA, TIG and MMA welding. The GAP (Gas Arc Process) technology developed by Castolin Eutectic is designed for work that requires extra precision, low heat generation and minimal distortion. The GAP technology also provides an exceptionally high purity and quality of the welding bead from the very first layer. Advantages such as high efficiency of the process, precise control of the layer thickness and smooth weld beads generate considerable economies by cutting both operating costs and welding consumable requirements. The user-friendly 5.7” touch screen control panel with a newly developed user interface simplifies and speeds up pre-selection of welding parameters for the operator, and works with welder gloves on. The touch screen displays all the settings with 1000 memory locations available. 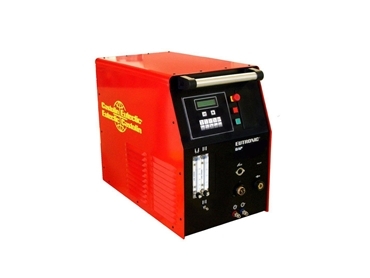 The extremely powerful inverter delivers 2-250A, which is sufficient for almost all powder applications. Optional features include a fully electronic gas control and second motor control card to operate a second powder feeder and an extended automation interface for full integration in an automated process. The EuTronic GAP 2501DC welding system is ideal for repairs on tool steels, rebuilding of cutting edges, forging, stamping dies and aluminium die casting moulds; repairs and refurbishment of cast iron and glass moulds; feeding screws repairs; and hard-facing on down hole equipment, drilling tools, valve seats and valves, mining machinery and milling tools. SMENCO is the national distributor for Castolin Eutectic, recognised as leaders in welding technology and wear solutions.